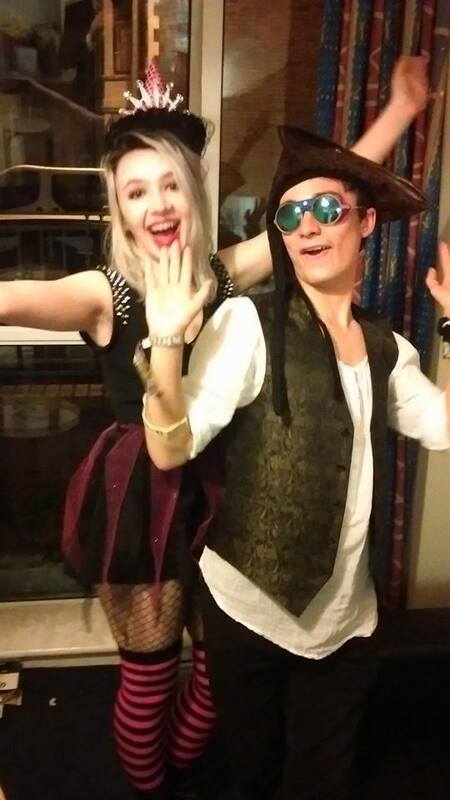 With me doing a fashion course and all I decided this was the year when I finally made my halloween costume. I wanted to go as a witch, and I wanted it to look similar to the type of costume you can get for little girls. I already had a black dress with a spiky neckline and sleeves that I could use as a base but I wanted to turn it into a witches dress for the one night without ruining it forever. I decided to make an elasticated witches skirt that I could simply slip over my dress to turn it into an instant witch dress. I’m so happy with how it turned out. The first thing I did was go to Cardiff Market and pick out my fabric. 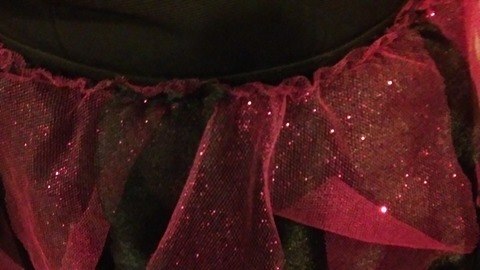 Immediately I was drawn to a pink glittery fabric which I regret because it was absolutely hell to work it. It was gorgeous though, very witchy. 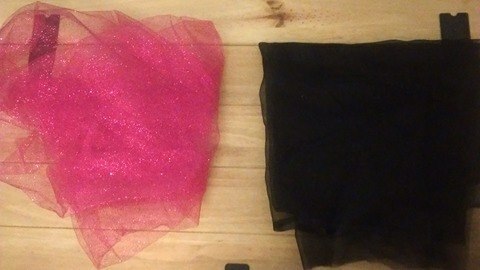 I also bought a sheer black fabric to go with the pink fabric. They we’re both £5.99 a metre which was really surprising, I could have got away with half a metre but was too shy to ask if they sold fabric in half metres. I absolutely loved the fabric stall at Cardiff Indoor Market, I want to go back and have a proper look at all the beautiful fabrics. Sometimes fabric shops can be quite limited and not stock many fashion fabrics but this one looked fantastic. 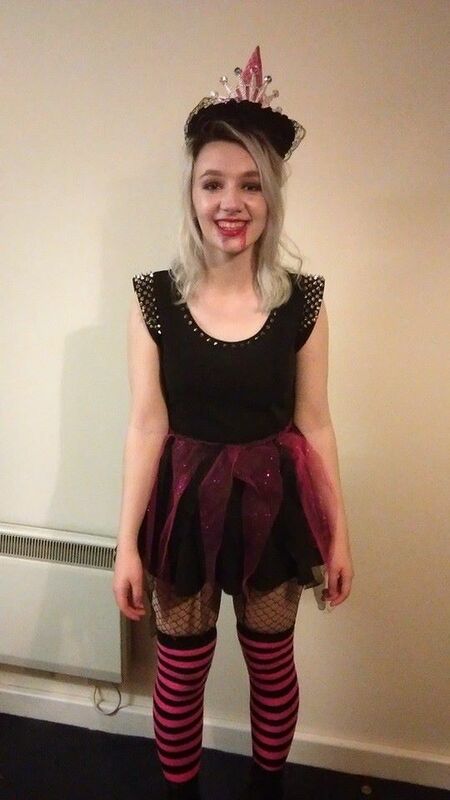 For the rest of my costume I went on a hunt around Cardiff looking for ways to make me look more witchy. I found a really cute pink witches hat in pound land that suited my costume perfectly. I found these great stripy pink socks in claires accessories and wore them over some sparkly fishnet tights. 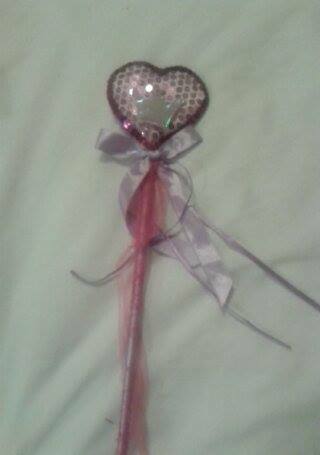 I saw a tiara and a wand in the children’s section of another pound shop and last minute decided I was going to go as a princess witch. 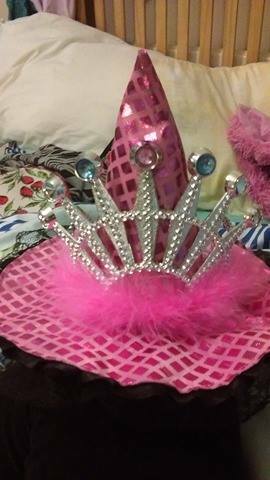 I used some of the pink fabric to make the wand look cooler, and sewed the tiara onto the witches hat. That was my costume completely finished and all for under £15, which I think is fantastic considering I spent £40 last year. I liked it more than last years costume too. This year my boyfriend started university and is currently living in student accommodation in Cardiff, so Cardiff was the obvious choice for our night out. We decided to buy tickets to Pryzm because thats one of our favourite nightclubs and at £15 it was one of the cheapest options. It was alright there but the fact that it was £6.50 for a double vodka and orange killed my night. They didn’t really have much there to justify the price either, I was expecting more than just a few decorations but that’s basically the only difference between the halloween event and a normal night there. 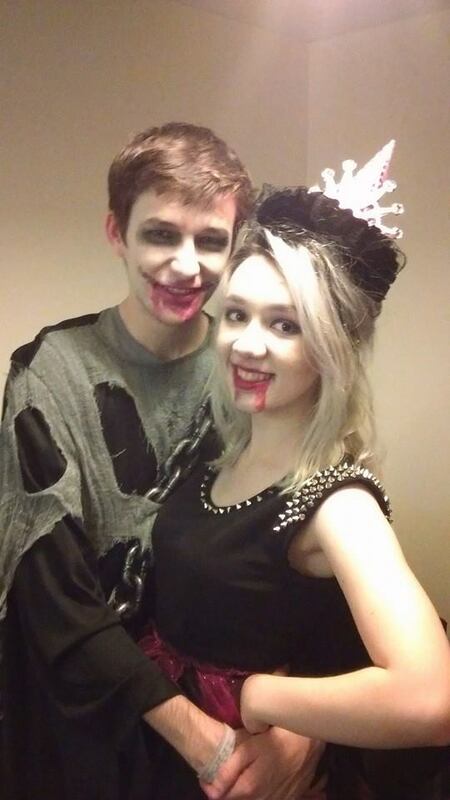 Despite how expensive it was I still had an amazing time, there were so many amazing costumes there. 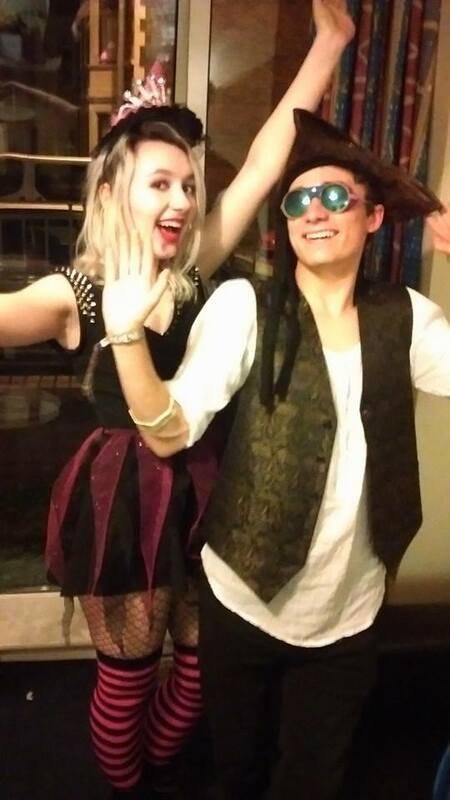 I had a very happy halloween.